The festival’s artistic director. He is a multi-instrumental musician (mandolin, bass, cimbalom) and a leading figure in Canada’s World, Folk and Jewish-roots music scenes. 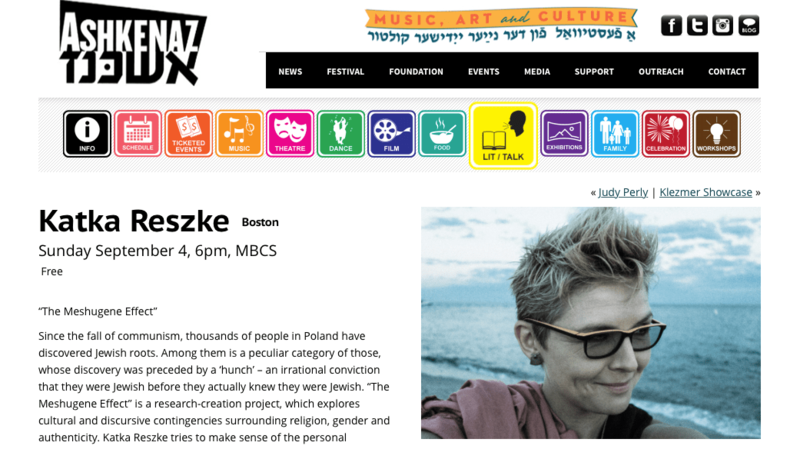 He is founder/leader of the innovative klezmer/world fusion group Beyond the Pale, with whom he has performed across North America, Europe and Australia and released three award-winning CDs. 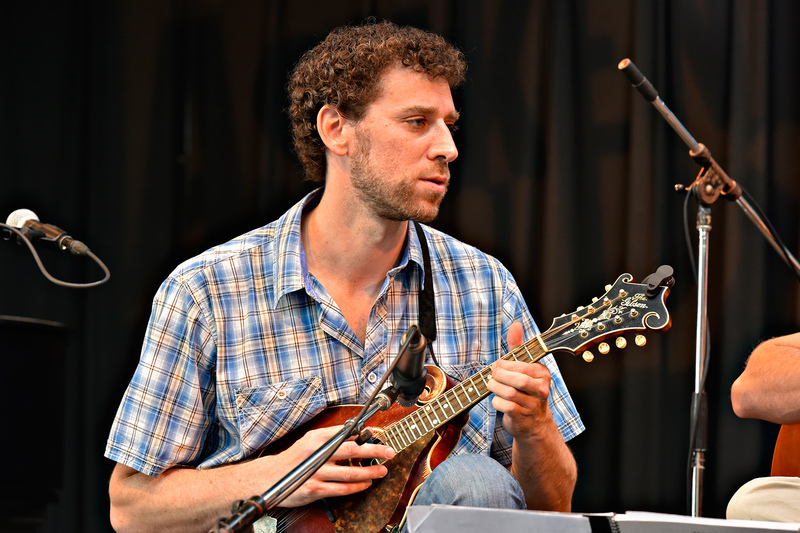 Eric also leads the Brazilian choro ensemble Tio Chorinho, is a member of the international supergroup the Ger Mandolin Orchestra, and has performed with a number of other leading artists, including Socalled, Theodore Bikel, Flory Jagoda, and various Canadian chamber groups and symphonies. Eric’s website. The 11th biennial Ashkenaz Festival takes place from August 30 to September 5, 2016, at Toronto’s Harbourfront Centre and other venues across the GTA. It is North America’s largest celebration of global Jewish music and culture, presenting musical, theatre and artists to celebrate cultures from all over the world. Inspired by images of the magnificent wooden synagogues of 18th century Poland – the last of which were destroyed by the Nazis – artists Rick & Laura Brown of Handshouse Studio set out to reconstruct a replica of the stunning, mural-covered Gwozdziec synagogue. Working with a team of 300 artisans and students from around the world, using only period hand tools and techniques, the Browns finally realized their dream. In 2014, the show-stopping reconstruction of the Gwozdziec synagogue roof was unveiled as the centerpiece of the new POLIN Museum of the History of Polish Jews, in Warsaw. 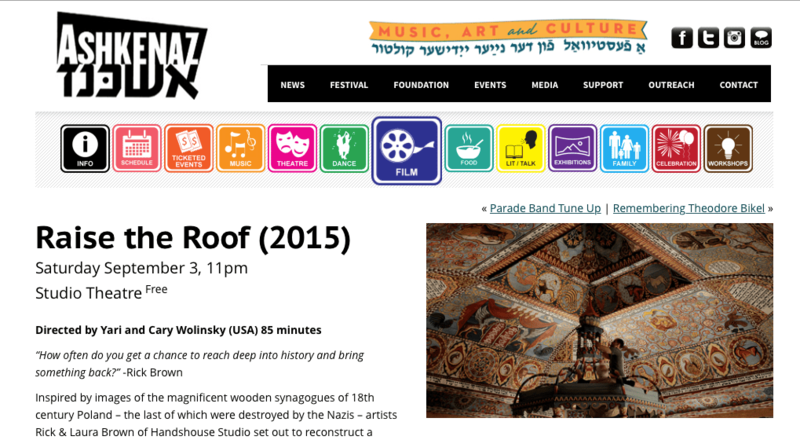 Filmmakers Yari and Cary Wolinsky’s beautifully photographed and rendered film Raise the Roof, tells the story of this remarkable 10 year project against the backdrop of the 1000 year history of Jews in Poland. 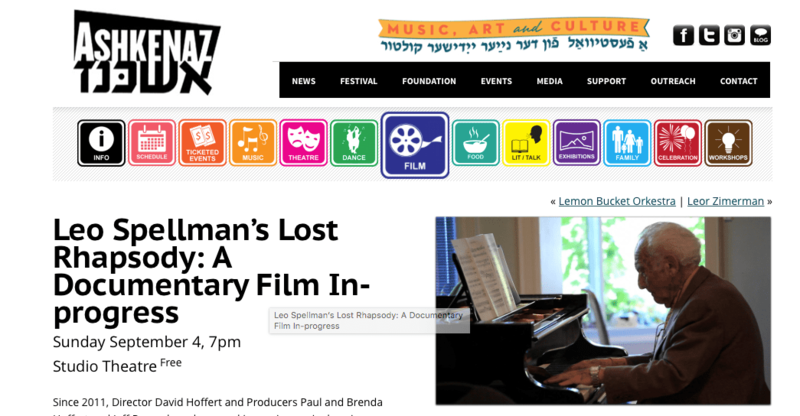 Since 2011, Director David Hoffert and Producers Paul and Brenda Hoffert and Jeff Preyra have been making an increasingly epic documentary film about the late Toronto pianist, composer and Holocaust survivor Leo Spellman. The story began with the discovery, re-orchestration and ultimate Canadian premiere (at the 2012 Ashkenaz Festival) of Spellman’s long lost orchestral masterpiece, “Rhapsody 1939-1945”. Originally composed in 1947 in a German DP camp, the composition musically tells Spellman’s haunting and hopeful story of perseverance against all odds. Two months after this landmark performance, Leo Spellman passed away at the age of 99. The project appeared to be finished, until Spellman’s wartime diaries were discovered among his belongings. Representing some of the most significant, and harrowing, first-person accounts of survival during the Holocaust, the diaries added a new dimension to the narrative of the film. The documentary has continued to evolve over the last three years, taking the team to Poland for a triumphant performance of the Rhapsody with an eighty-five piece orchestra, and to Spellman’s hometown of Ostrowiec, where the mayor unveiled a plaque honouring their former resident. Join the filmmakers for a sneak peak at their work-in-progress, as it nears completion in the coming year. A new trailer will be presented along with preliminary sequences from the film, footage from the’ two trips to Poland, and excerpts of the unique animation that is being incorporated into the film as dramatizations of the material in Spellman’s diaries. Katka Reszke is a photographer, writer and Jewish studies scholar who in 2013 published “Return of the Jew,” a book about the Poland’s post-communist Jewish revival. She works in the U.S. and Poland. Since the fall of communism, thousands of people in Poland have discovered Jewish roots. Among them is a peculiar category of those, whose discovery was preceded by a ‘hunch’ – an irrational conviction that they were Jewish before they actually knew they were Jewish. “The Meshugene Effect” is a research-creation project, which explores cultural and discursive contingencies surrounding religion, gender and authenticity. Katka Reszke tries to make sense of the personal narratives of several Polish women (including her own), who embarked on a pursuit of Jewish identity following a feeling, an intuition, an uncanny precognition about their Jewish descent. These self-narratives reveal different ways of making sense of extraordinary experiences of memory and transition set against the landscape of troubled Polish-Jewish history and a new curious Polish-Jewish present.